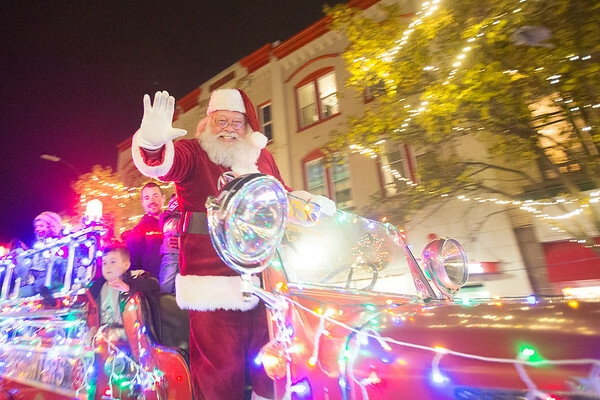 Traverse City held its first Light Parade before the annual Tree Lighting Ceremony on Friday. Santa Claus makes his way down Front Street aboard an old fire engine during the downtown Traverse City Light Parade and Tree Lighting Ceremony on Friday. This year was the city's first light parade.